We love ASOS, but we'd be lying if we said the amount of product stocked on the retailer wasn't overwhelming. We mean this in the best way possible, but ASOS has a lot of clothes to sift through. Some people may love the hunt, but most of you would rather have the work done for you, and that's what we're here for. (You're welcome.) 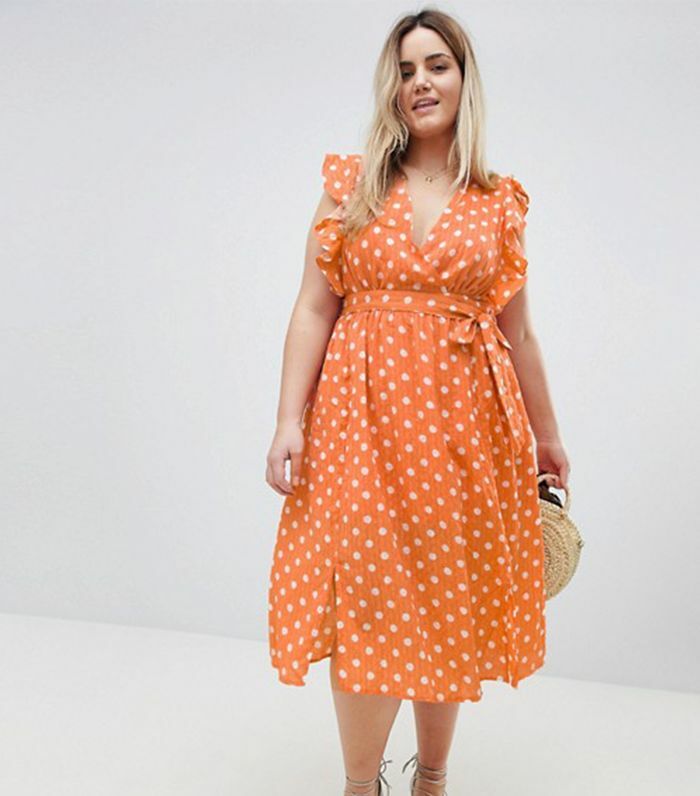 Since summer is right around the corner, we decided to hone in on the best summer dresses ASOS has to offer. Ahead shop the seasonally festive frocks we have a feeling you'll want to wear all summer long. Please trust us when we say we dug through the endless pages of dresses on ASOS to find the curated collection of pieces below. From linen minidresses for a breezy summer day to polka-dot slips you can wear to your next wedding, the edit you're about to shop has everything you're looking for in a perfect summer dress and then some. Orange is the new pink. Match the sun in this yellow number. Going to a wedding? We just found you the perfect dress. Instagram girls love this cheeky dress. The print and color fashion girls can't get enough of. Wear with sneakers for a casual day or with strappy heels for a summer cocktail look. Easy to wear doesn't even begin to cut it. Take this dress on all your summer vacations. The white dress you've been searching for. Wear this over a swimsuit for the perfect cover-up. A sundress you'll regret not buying. This is giving us major vintage vibes. All you need now is a straw bag and you have yourself an ideal summer outfit. Red sandals would do this dress wonders. Don't be a hero—resisting adorable buttons isn't helping anyone. Have some fun with gingham this season. This will be our aesthetic all summer long. In case you're more of a skirt person than a dress person, check out the 15 perfect skirt outfits we're loving now.